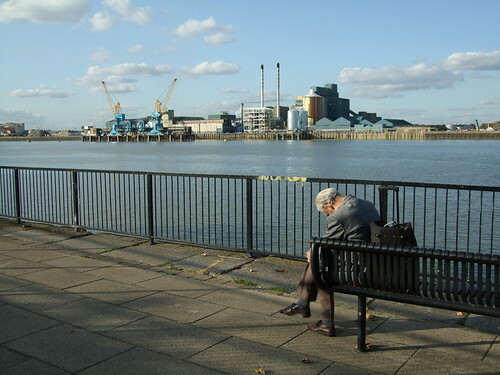 I took a walk along the Thames the other day – I hadn’t been well, and I needed to get out and get some exercise. I walked up to Thamesmead – this might not strike you as the most attractive of walks, but on a sunny afternoon it’s peaceful, and when you get to the tip of Thamesmead (well, the Greenwich/Bexley borough boundary, more or less the last chance to leave the walk before you end up in the wilderness of Crossness) you can get a stunning view like that above. But it’s also a depressing walk – full of monuments to decades of bad planning. Trouble is, we have to live with the legacy of crap decision making from the 70s through to the 90s. 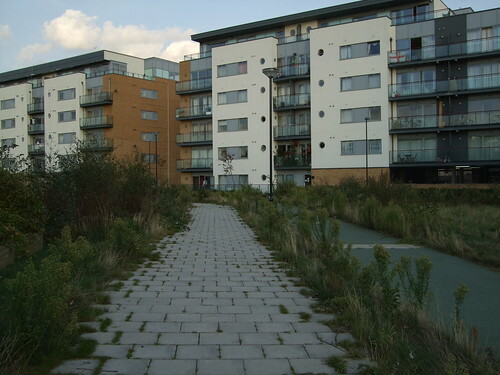 Start at King Henry’s Wharf, the rather miserable 1990s Barratt-style development as you enter Woolwich from Charlton, and you’ll start to see why. It’s cut off from decent transport links by a rotten strip of industrial yards, giving it an oddly isolated feel. Yes, there’s great views of the Thames Barrier (and, er, of Tate and Lyle’s Silvertown works), but what’s the point in an inner London housing development that seems to encourage car use? You get the feeling nobody really thought this through properly. With the property boom just starting 10 years ago, they probably didn’t. 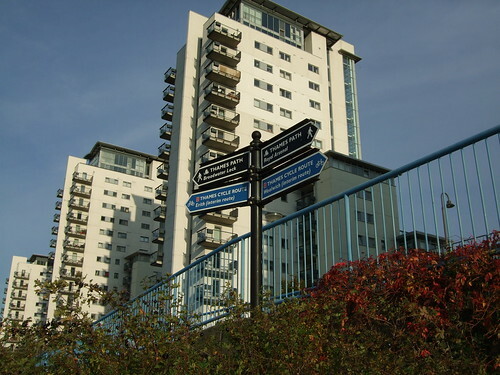 Sadly, this mistake was made before – walk further along and you get to the Woolwich Dockyard estate, built in the 1970s (by the GLC). It came with an aquatic centre, which is now rotting away (with obligatory England flag hoisted up in protest). Again, it’s cut off from the outside world by the old dock wall. I’m sure the people who designed this are living lives of happy retirement. Presumably not behind a huge brick wall on Woolwich Church Street. 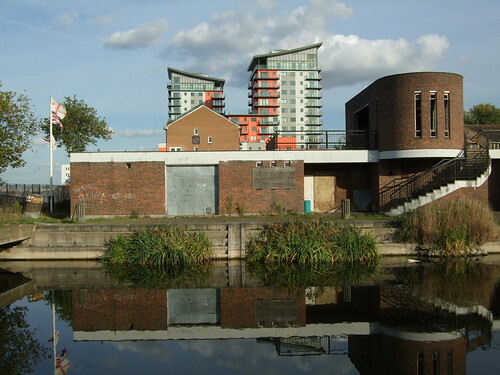 Further along (and behind the aquatic centre) is the Mast Pond Wharf blocks – which look pretty well-designed, and sit on stilts in anticipation of flooding, another risk of living on the Woolwich Dockyard estate… Still, things were a bit more stylish around here once. 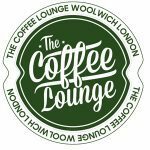 Cross the ferry approach, and you’ll see where great chunks of Woolwich have been flattened for future, mystery development – was the Crown and Cushion pub really not worth saving then, Greenwich Council? 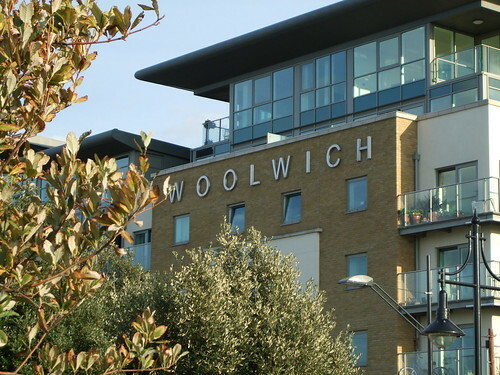 Did the last remnant of the old Woolwich riverside not mean anything to them? But there is a horrible, windswept park, Royal Arsenal Gardens, which opened in 2000 and just seems to be a place to walk through as quickly as possible. 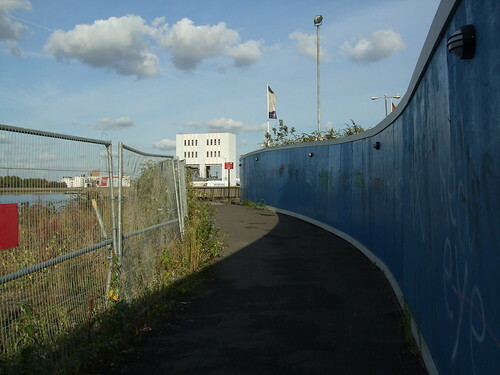 Into Thamesmead, and the gleaming blocks of the Royal Artillery Quays – it looks impressive, but it sits next to the horrific Broadwater Estate. You can’t escape the contrasts here. But after here, you get to more traditionally-built new housing, you’re on bus routes, and things get a bit more settled. 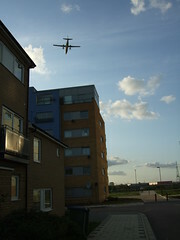 Until you get to… Gallions Reach Urban Village. It’s a tragedy – and criminal, really. From crap council estates of the 70s to poorly-thought-out 21st Century developments, we’ve got to live with these terrible decisions, and pay for them in terms of increased pollution, increased policing costs, and the environmental and social harm that’s caused by them. 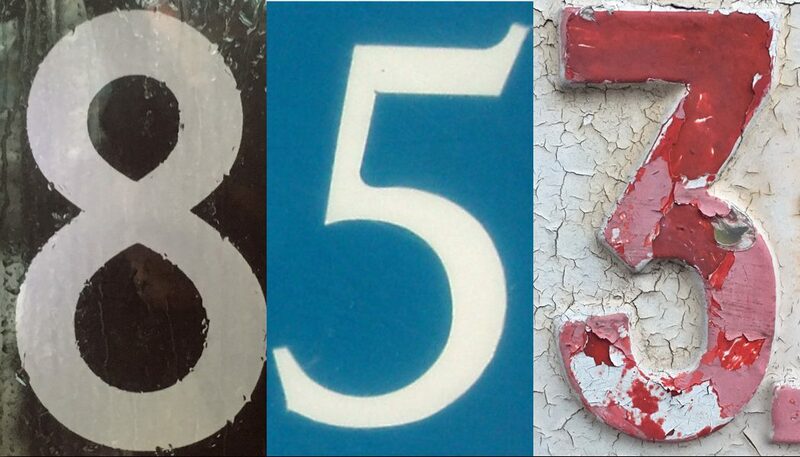 Can anyone involved in any of these places say they’re truly proud of them? After the Urban Village horror story, all is peaceful. A rabbit ran out in front of me as I approached Tripcock Ness, on this undeveloped piece of Plumstead Marshes. Unfortunately, this is roughly the point where Ken Livingstone wanted to build the Thames Gateway Bridge. 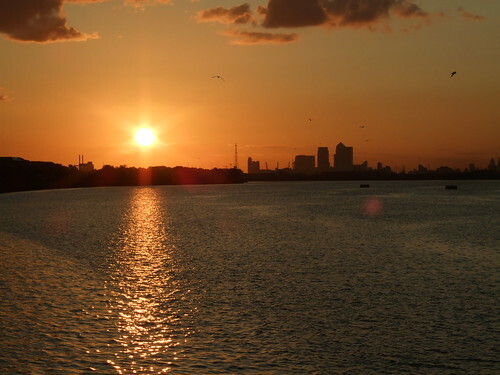 It’s not clear whether Boris Johnson will go ahead with this or not, but it’s certain that this undisturbed corner of Thamesmead, where human beings haven’t moved in to bugger it up, is under threat. Maybe this corner should just be left to nature, as a reminder of what Thamesmead once was. It’s not all bad. As I turned off to find a bus home, a beaming African fella rode past on his bike, just behind his two equally happy kids, also pedalling away. We said hello to each other, and I realised that living on the river can’t all be bad up there. 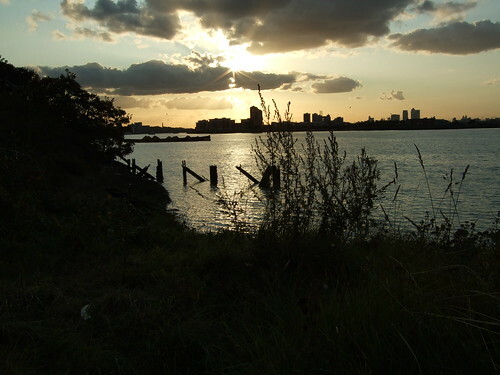 Maybe the Woolwich and Thamesmead riverside is rescueable. But it’s clear that neither the politicians in charge now, nor private developers, are up to the challenge. Until we can fix this, we just have to make the best of a bad job, like the Gallions Reach residents on their forum, and the dad on his bike.